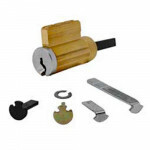 KKARA-4 Cal-Royal Key in Lever/Knob Cylinders Arrow "A" KeywayPackaged with Tailpiece Assortment Pac..
KKC59-4 Cal-Royal Key in Lever/Knob Cylinders Corbin 60 Russwin 59 Keyway, 5 pinPackaged with Tailpi..
KKCL4-4 Cal-Royal Key in Lever/Knob Cylinders Corbin L1 thru L4 6 pinPackaged with Tailpiece Assortm..
KKKW5-4 Cal-Royal Key in Lever/Knob Cylinders Kwikset Keyway 5 pinPackaged with Tailpiece Assortment..
KKRD1-4 Cal-Royal Key in Lever/Knob Cylinders Russwin D-1 thru 4 Keyway 6 pinPackaged with Tailpiece..
KKSCC-4 Cal-Royal Key in Lever/Knob Cylinders Schlage “C“ Keyway 6 pinPackaged with Tailpiece Assort..
KKSCE-4 Cal-Royal Key in Lever/Knob Cylinders Schlage “E“ Keyway 6 pinPackaged with Tailpiece Assort..
KKSCF-4 Cal-Royal Key in Lever/Knob Cylinders Schlage “F“ Keyway 6 pinPackaged with Tailpiece Assort..
KKSCP-4 Cal-Royal Key in Lever/Knob Cylinders Schlage “C-K“ Keyway 5 pinPackaged with Tailpiece Asso..
KKSLA-4 Cal-Royal Key in Lever/Knob Cylinders Sargent “LA“ thru “LC“ Keyway 6 pinPackaged with Tailp..
KKSRA-4 Cal-Royal Key in Lever/Knob Cylinders Sargent “RA“ Keyway 6 pinPackaged with Tailpiece Assor..
KKWFE-4 Cal-Royal Key in Lever/Knob Cylinders Weiser/Falcon “E“Keyway 5 pinPackaged with Tailpiece A..
KKYA8-4 Cal-Royal Key in Lever/Knob Cylinders Yale 8 (E1R) 5 pinPackaged with Tailpiece Assortment P..
KKYGA-4 Cal-Royal Key in Lever/Knob Cylinders Yale "GA' 6 pinPackaged with Tailpiece Assortment Pack.. The Schlage 21-020 is a 6-pin conventional (standard) AL Series Key-in-Knob/Lever Cylinder for use w.. 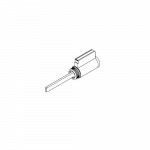 The Schlage 23-001 is a 6-pin conventional (standard) D Series Key-in-Knob Cylinder for use with Sch.. The Schlage 23-065 is a 6-pin conventional (standard) ND Series Key-in-Knob/Lever Cylinder for use w.. 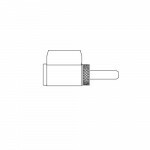 The Falcon A23161-05 is a 6 pin cylinder G keyway for use with Falcon T Series. Specify keyway a.. 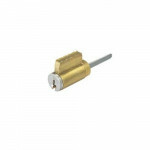 The Falcon A23161-05 is a 6 pin cylinder E keyway for use with Falcon T Series. Specify keyway a.. The Falcon A23165-00 is a 6 pin cylinder G keyway for use with Falcon X and Y Series. Speci..